For several Fridays in a row I've been dedicating at least an hour to the Metropolitan Museum of Art galleries. 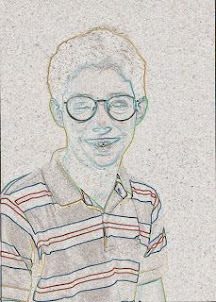 Proffering my student ID I pay as little as ten dollars to view a vast collection of priceless art. One more reason why I love New York City. I do not stay longer than an hour and I stick to one section, sometimes only one room. 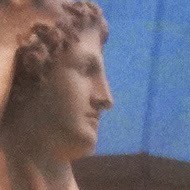 For my visit today I scurried over to the European Sculpture Court and sat with the sculptures. The Perseus statue with the head of the Medusa struck me because of the narrative embedded in the presentation. Perseus is stylistically graceful in this replica of Canova's Perseus which is now in the Vatican museums. The Met's profile on the piece mentions that Perseus's stance is modelled off the Apollo Belvedere. This seems right to me. It is as if Canova imagined what Apollo would have been holding if he were Perseus! The result is a stunning sculpture that projects grace in victory rather than priapic destruction. The medusa head in the Canova is hardly horrifying. The nest of vipers seem stilled and her face is cast in a dull mourning. 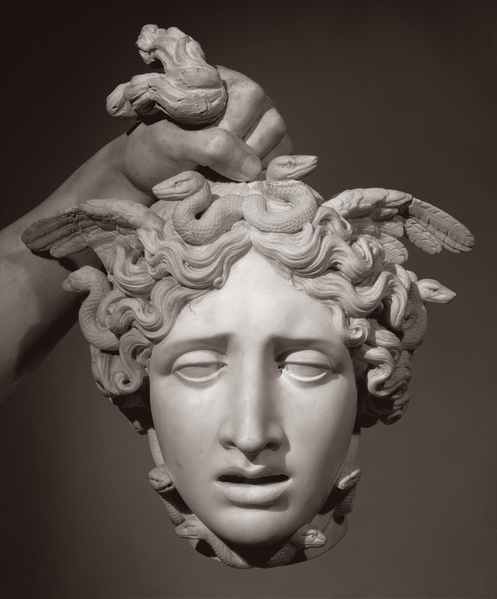 Contrasted with Caravvagio's Medusa's Head, which I mentioned on these pages, Canova has placed only a slight reference to snakes: two opposite facing serpents adorn the brow of the Medusa. Where Caravaggio favors priapism and glorious horror, Canova goes for subtle beauty and quiescent victory.